The tectonics in dance music have shifted again. Long time readers know that trance was stuck in the doldrums these last couple of years, but thankfully deep house went overground just in time and carried all before it. Unfortunately, that is no longer the case. When a dominant sound emerges it has a heyday lasting around a year or two before it goes decadent and disappears up its backside. The presence of just one track from this stable - CRAM's excellent It Ain't Easy - shows that while the talent is about, the sub-genre itself is more or less done. And that is a real shame. According to a producer mate of mine, it's as if dance fashions have purposely bent in the opposite direction. It's bubbled away under the surface, but this was the year so-called tropical house went mainstream. And, as a general rule, I can't stand it. Instead of low down vocals, munchkin and munchkin-style effects are back. These are married to calypso flavours, oil drums, and golden sand rhythms. Sounds lovely, doesn't it? Well, it has some soulful, down tempo qualities but no, just no. Well, there is a single exception. Veteran purveyor of German electronica, Schiller has turned in Once Upon a Time, a tropica-by-numbers piece that hits the right notes and bypasses the prejudices I've acquired toward the genre. What pleases me most is that trance came back strongly this year, but in the main the leading lights of the scene played second fiddle to emerging talent and barely-heard-of producers. Kyau & Albert have knocked around for a while, and their rework of Frida Sundemo's ballad gave it some much needed oomph as well as a new lease of life. Coming superstars Aly & Fila did the business with the Mohamed Ragab and Jaren collab, and spun it into something very special indeed. Jorn van Deynhoven in We Can Fly pitches for the kingship of melodic trance with a piece that can only be described as sublime. And last but by no means least, Roger Shah and Leilani swoop in to the number two spot with a monster that manages the tricky task of haunting and uplifting the listener. A proper masterpiece sure to make the decade-end list. I love me some nostalgics, and no less than three numbers tickled this fancy. The Noble Six's Meteora blazed through the firmament like a, um, meteor with a sound that smashes together late 90s trance with early-mid 00s eurodisco, and a redolent nod toward the Lost Tribe classic, Gamemaster. Dimension's Mangata sounds like it also fell out of that time and only resurfaced this year. It sounds so Gouryella that I rate it well above the last couple of official Gouryella releases. And lastly we have friends-of-the-blog the Pet Shop Boys with The Pop Kids, a catchy number that speaks to clubbers of a certain vintage. It's also somewhat "inspired" by Bizarre Inc's Playing with Knives, which isn't anything I'm likely to complain about. And the year's number one? Well, forgive me for being so mainstream but I've picked something that is not just the finest tune of 2016, but is perfect pop too. I love its simplicity and super-cheeky qualities, and is made by a perfectly pitched vocal. Here it comes (if you'd pardon the pun). 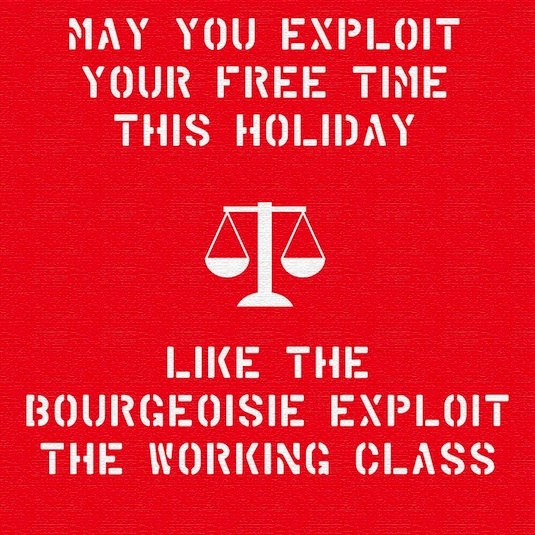 2016 was awful, but it turns out awfulness does wonders for reality-based socialist blogging. Page views surged to 936,000 over the course of this year, working out at roughly 78,000 a month, or 2,500 a day. Enough, Google informs me, to make a princely £28.10/month were I to AdSense this place up to the eyeballs. Still, it's good to know there's still a solid audience 10 years into this game. The old Facebook page could do with more likes though (hint, hint). The collapse of the mainstream centre left into liberal virtue signalling and covering for Saudi Arabia in Parliament, and too much of Corbynism in thrall to conspiratorial thinking means there is a space for small independent bloggers and pundits to get to grips with what's happening and offer analysis-based diagnoses, no matter how unpalatable they might be. And, with any luck, that gap is going to widen as increasing numbers start looking for comment that's a bit more thoughtful. Either/or self-indulgence was so 2016 - 2017 belongs to critical thinking and nuanced argument. Well, it would if there is any justice. Want to know what the most read posts of 2016 were? Of course you do. 14. Why is the BBC Silent about Tory Electoral Fraud? 11. Is Corbynism a Social Movement? 7. What is Happening to the Labour Party? 5. EU Referendum: What Would Trotsky Do? There is a theme that dominates this list, but I can't quite grasp what it might be. Can you? With lists in recent years typically dominated by more lists, bonking, and far left shenanigans, politics, real politics has come to the fore. And about bloody time. 2017 is going to be difficult and fraught year as the Brexit disaster beds down, Donald Trump assuming office and rattling his super-manly sabre, a rolling wave of far right success in continental elections and, yes, a few more beloved celebrities are probably going to leave us. The outlook is bleak, but I will be here chronicling it all and offering my two penneth. Instead of my usual tradition of digging up (relatively) unappreciated posts, I'd like to pay tribute to two of my comrades who passed away unexpectedly this year. Eddie Truman and Lily Jayne Summers were among the finest human beings I've ever had the pleasure to associate with. Their passing is felt everyday, and we owe it to their memory to dust ourselves off and keep fighting for a better world. After all, if these comrades were still with us it is what they would be doing. Instead of a customary look back, I'm nicking Paul's idea and having a think about what I've learned this year. We never stop learning, after all, and for anyone who comments on politics and society to make sense of them in order to change them, it behooves them to take stock and reflect. 1. Liberalism has gone the way of the walking dead. It is a ruling set of ideas every bit as decadent and useless as Conservatism, and 2016 was the year this was demonstrated in no uncertain terms. I would say more, but I'm brewing a post on this very topic in the near future. Thunder, stealing, etc. 2. Be very careful about predictions. Last year's prediction about the EU referendum was spectacularly off, but then again I find myself in the company of every politics pundit going. I was also daft enough to think Trump couldn't win against Hillary Clinton, and as the popular vote gap between the two is in spitting distance of three million, that would have been right were it not for the electoral college. However, where I have got it right - Corbyn remaining Labour leader, decline of UKIP despite the hype, resurrection of the LibDems - this isn't because of superior powers of clairvoyance, but paying proper attention to trends and balances of forces. It's not always right, but more often than not, analysis works. 3. Theresa May immediately presents as a more formidable Prime Minister than her predecessor. She's a "grown up". She appoints people who can do the job. She isn't an ideologue, but has a plan that nods towards Ed Miliband. That's where liberal analysis ends (see 1). However, scrutinising her actions finds a politician as dithery as Gordon Brown, and as captivated by immediate party interests as Dave was. To have such a PM heading up the Brexit negotiations is a recipe for catastrophe. 4. Capitalism is in deep, deep trouble. It's not about to collapse, but the crisis tendencies that drive the beast are grinding against each other painfully, and it seems no amount of austerity, protectionism, or QE without significant inroads into private ownership seem possible to bring it back to rude health. The alternatives are either decades-long stagnation, as per Wolfgang Streeck, or a displacement of market relations by cooperative, networked, peer-to-peer relations as sketched out by Hardt, Negri and Boutang and publicised here by Paul Mason. 5. Jeremy Corbyn isn't proving to be much cop, I'm sorry to say. True, he was dragged down by some of the most disgraceful, pathetic, infantile behaviour ever witnessed in mainstream politics, and true, he's earned the right to run the party as he sees fit as far as the membership is concerned. Secondly, and related to 1), this year his opponents - the bulk of the PLP - have demonstrated they do not understand the character of the party they represent in the Commons. By trying to subvert the members' will, by seeking to replace him with someone whose politics would be continuity Miliband, replete with market solutions for problems, a desire to gut the welfare state, and bang on about controlling immigration, they would have destroyed the party. The coup-that-wasn't and the second leadership contest wasn't between winning an election and losing one, but a question of whether there would be a Labour Party or not. Jeremy Corbyn might not be leading the party to victory in 2020, but already he's saved it as a going concern. 6. And lastly, despite my best efforts I've discovered in 2016 that there are only so many hours in the day. The heftiest workload I've ever had, the maintenance of this place, a commitment to politics, at times it's proven impossible to juggle the lot. The blog has suffered, the politics have suffered. That is never going to happen again. He's been gone five minutes, and already he's poised for a comeback. According to The Indy, David Cameron is Theresa May's nomination for the next NATO general secretary. This, according to Michael Fallon, is part of a move that would deepen Britain's commitment to the alliance to make up for Brexit. Presumably that would involve an extra spending commitment. After all, ways have to be found for blowing that phantom Leave dividend. A Briton has held the secretary generalship on three occasions. The last was George Robertson who, according to rumour, was placed there by His Blairness to avoid newspaper attention. The position is granted by a consensus among member states and, typically, the candidate who can win US backing gets in. There are some things that commend Dave for this role. NATO secretary general is a bit of a non-job. It involves fronting the alliance to the press, chairs a number of committees and some staff management duties, which can easily get palmed off on the deputy. Given Dave's recklessness, we should be grateful it has no decision-making powers. For someone who never did detail and whose only talent was was to look the part, Dave would fit this job like a snake slipping into a sack. Trotting about the world stage and looking ever-so-important, it's enough to bring the green eyes out in Tony Blair. There are some issues though. 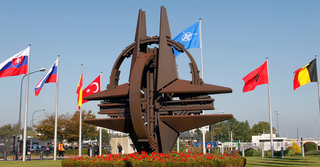 As the strongest and most sophisticated military power in NATO after the United States, he might be a shoe-in. But then again, politics could get in the way. The EU is separate, but politics always overspills. Only fool liberals think it respects institutional boundaries. In the five months since Theresa May entered Downing Street, her foreign secretary has spent his time swaggering around Europe insulting allies and stupidly snubbing meetings of his continental counterparts. Not the most auspicious start to a campaign of glad handing if May is to get her man in position. Then there's the unforeseen fall out from Brexit negotiations. No one yet knows how smooth or bumpy they're going to be, but at some point they will involve frank exchanges, frayed tempers, unreasonable behaviours, and perhaps the odd falling out. Some of which are bound to affect Dave's chances. The nomination also says a few things about the Prime Minister's nous deficiency. She might have concluded that giving Dave a grace and favour job will prevent him being a future annoyance, a la Blair's tendency to repeat. But, excuse me, was May so buried in the Home Office that she didn't notice what was going on during the last six years? Her then boss time and again scored cheap populist points for short-term gain, alternately acting like a petulant brat and then pleading for special treatment and, by losing the referendum, has exacerbated the crisis tendencies in the EU project. Only Nigel Farage would be less acceptable, politically speaking. Plenty of commentators have talked up the differences between May and Dave, but they have one thing in common: all plays second fiddle to the immediate interests of the Conservative Party. Whether Dave is able to waltz into this plum job or not remains to be seen, but it appears the politics are against him. And as, once again, it demonstrates May's cluelessness, this most unwelcome of Christmas time surprises doesn't bode well for her oversight and direction of the Brexit negotiations. Here's a round up of the books I've read since last time. Knock yourselves out. Santa has brought be a couple of festive treats, namely Multitude and Commonwealth - the follow ups to Hardt and Negri's seminal Empire. Perhaps I'll get round to writing about them in time. What have you been reading recently, and were any nice books left under the Christmas tree? 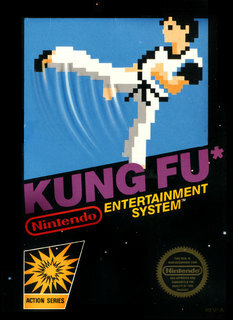 Kung Fu, or Kung Fu Master as it's better known here in Blighty is one of my very favourite video games. Not just because it comes with a dollop of nostalgia - I spent many a happy afternoon round my mate's place with his Amstrad 6128 in the mid-80s - but because it is a simple, compulsive game. So when I spotted it going cheap for the NES earlier this year, one simply had to have it. And I am very pleased to say, this iteration is easily as good as I remember it being. What's the deal? Kung Fu casts you as Thomas, and you're on a mission to save your girlfriend Sylvia from the clutches of the evil gang boss, Mr X. This involves walking your way through five levels of increasing difficulty to reclaim your woman and strike a blow for macho, insecure masculinity everywhere. The boring, video game fairy tale plot is simple, and so is the gameplay, but all the best games are easy to pick up. You just walk along and either punch and kick your enemies away. The standard goon just seeks to grab you in a hug, and your job is to batter them before they get close. Be sure these are manly hugs though, as they drain energy until you can shake them off. 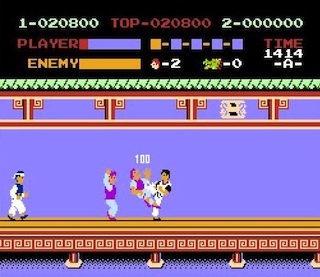 Other enemies feature knife throwers (two hits), dwarves (who sometimes leap up and bounce off your head), and falling pots containing snakes or fire breathing dragons. And don't forget about the bees on level four. Lastly, each level ends with a boss. The first is a stick-wielding hoodlum, the second a boomerang flinging footpad, the third a giant, the fourth a wizard with a detachable head, and then lastly the multi-moved Mr X himself. Throughout you have three basic attack moves - a kick, a punch, and a flying kick. The latter is best deployed only against falling objects and bees, they're next to useless on enemies. Kick and punches are the staples. The kick has greater range, but a landed punch is worth double the score, and as you only receive an extra life after 50,000 points risking a bit more for close quarter fisticuffs is worth it. And, mercifully, each is mapped on to the controller's two buttons. The home computer versions had you toggling between the two by slapping the space bar. In short, Kung Fu is a game of timing first and reflex second. Just getting the time right to kick or punch an enemy isn't difficult, but it's a might bit trickier taking them on from both directions at once with a knife thrower, um, throwing knives at you. And the bosses aren't too difficult. Either getting in close and hammer away, hoping their energy bar runs down before what's left of yours, or moving in, hit, move out, rinse and repeat. This is really the only way Mr X can get taken down. There's very little hope of learning and avoiding their attacks. Kung Fu isn't the most complex of games. Frustration can set in if you get to level five and lose all your lives, as there are no continues. And kicking the bucket before then means a return to the start of the level. That said, it shouldn't take long for half-seasoned players to make their way through it. Hence why it was probably included on the NES Mini, to draw in gamers who grew up with the old Nintendo and as a simple entre for newbies dipping their toe in the wonderful world of 8-bit software. On several occasions, we've explored game mechanics that were interesting additions to established conventions, but never really went anywhere. None of that can be said about Kung Fu. As a well received game on the NES, the home computers and in the arcades, I cannot think of a single aspect of this game that didn't become canonical for beat 'em ups. Scrolling levels guarded by an end of level boss? Multiple baddies and different baddy types? Different attacks? An end-of-game baddy with a move set as varied as your own? And, from a plot point perspective, kidnapping? Why, all of these are replicated in nearly every subsequent beat 'em up and perfected in the likes of Streets of Rage 2. Kung Fu therefore is not just a simple game worthy of a quick play through now and then, it's a canonical title that defined the basics of an entire genre. We're used to the Leave campaign lying. They made stuff up during the referendum campaign, and there's no let up even during the Christmas holidays. Change Britain is a "cross-party" outfit active across all the main social media platforms, and it made a bit of a splash today with its report doubling down on the notorious and widely-debunked £350m/week savings claim and said the figure could actually be as high £450m/week. That is the Brexit dividend, apparently, the value of what they're desperately trying to brand a "clean Brexit". There is some confusion over the size of these savings. The Graun says £24bn, The Telegraph £40bn, and Change Britain, um, £10bn, the press reporting of what is, in actual fact, a press release, has been appalling. Papers and news sites, which ever way they lean politically, have blandly trotted out the figures as if they were gospel. Does no one know how to critically scrutinise numbers any more? Needless to say, Change Britain's figures describe what they describe, but nothing else. As with a great many things, it's what they don't say that counts. I've had a look at their workings so you don't have to, and what's there is little more than wish fulfillment and, in a few cases, some worrying positions. First off, they make the easy claim that Britain will save paying membership subs, which works out as a saving of £10.4bn. Presently, countries outside of the EU but are members of the European Economic Area, like Norway post a contribution, but at a significantly lower level than the subs the UK presently pays. Change Britain's clean Brexit, however, has us lying outside the EEA completely. We would have to pay no more into the EU pot than Canada is set to do through their trade treaty. i.e. Nothing at all. Sounds attractive, but there is a problem. In October, exports to the EU were worth £26.8bn and imports £39.6bn. There are significant interests both sides of the channel for trade to continue uninterrupted, but that doesn't necessarily mean cool heads will prevail. There is every danger a deal cannot be negotiated in two years, hence the open talk of a bridging arrangement that would extend the negotiations into the never-never (a move entirely in the Prime Minister's character). However, Change Britain want none of that - they want tariff-free access, but without the rigmarole of the complex negotiations that will get us there. In short, if they want to hop out of the EEA, Britain will face tariffs, no ifs, no buts. The wrexit crew might say that will harm the EU more than that harms the UK, but in the real world that would be small comfort to the millions of jobs placed at risk and the damage done to the economy. So yes, we might save £10bn in subs, but how much disappears as the economy takes a hit? How many people have to have their livelihoods ruined until a inferior Canada-style treaty comes along? Change Britain's second moment of dishonesty regards the freedom Britain will have to negotiate trade deals elsewhere. One of Leave's strongest suits during the campaign was playing up Britain's strength. The economy has serious, long-term problems the Tories don't seem at all fussed about, but yes, Britain is one of the richest economies in the world and, of course, people from all over will want to do business here. Pulling out a list of countries that have already expressed an interest in trade deals, or are likely to, they estimate an increase of between £8.5bn and £19.9bn worth of exports once we enter into arrangements with them. How Change Britain arrived at these figures are mathematically reasonable (though their link for 2016 trade balances leads to 2013's), they are economically suspect. Suspect because a trade deal doesn't generate exports, economic activity does. The tearing down of tariff barriers does not create jobs or boost productivity, it relieves costs borne by exporters and importers. It can improve profitability, but as we've seen in almost a decade's worth of a capital strike here in Britain, boosting profit rates doesn't necessarily equal more investment and greater productivity. Secondly, tariff-free access can harm economies, or does Change Britain need to read about the consequences of cheap Chinese steel again - that is until the hated EU put a hefty tariff on it? And thirdly, these trade deals aren't going to get struck overnight. Working out something with Mercosur - the Brazil-led economic bloc of Latin American countries - is not going to be a simple head-to-head between governments. And as for the deal with the USA, well, there might be a problem. Until we get those deals, there will be no economic benefit whatsoever. For years. Lastly, let's look at the bonfire of red tape. Apparently, British business is getting choked by Brussels bureaucracy. A strangulation to the tune of £1.2bn, which is very small beer in the context of a £1.8tn (or thereabouts) economy. But still, let's play Change Britain's game. Going through the 100 most burdensome EU regulations as identified by Open Europe, Change Britain are at least honest enough to acknowledge that only a small proportion of EU regulations would be repealed because of international treaties and continued policy commitments. Nevertheless, they've earmarked some pretty interesting regulations for the chop. These include the Data Protection Act, genetically modified food regulations, non-road gaseous and particulate pollutant regulations, registration and restriction of chemicals rules, waste batteries and accumulators regs, and farmed animal welfare rules. In short, irony of ironies, their Clean Brexit would result in more airborne pollution - a filthy Brexit, if you will. As well as a free for all in hazardous materials, and an abandonment of farmed animal standards. And greater freedoms for those who hold personal data to abuse it. I guess it hadn't occurred that their repeal might create unforeseen externalities, like monies lost through fraud, added costs to health care, the cost of cleaning up environmental damage, it goes on. In all, Change Britain's bean counter's approach to a Clean Brexit amounts to politics of the dirtiest kind. This is not an exercise in cost/benefit analysis. It's a balance sheet of dishonest thinking and convenient forgetting, and deserves branding as such. As celebrity has become even more ubiquitous, the option is there - and it's readily taken - for people to form simulated relationships with celebrities of their choice. Whether one is a self-described superfan or is moderately interested in the doings/work of a particular star there is a one-way, "inauthentic" relationship. Despite never meeting them, seeing them, or getting a reply on Twitter off them they can become as meaningful to someone as a real, flesh-and-blood friendship can be. Sometimes even more so. Zygmunt Bauman, the diagnostician of what he likes to call 'liquid modernity' nevertheless observes that for all their inauthenticity, relationships of this stripe can reproduce the agonies and ecstasies just as well. The relation one might have with a certain celebrity might be more real than real, more human than human. It's a strange coming together of supplicant and replicant, of a real person "meeting" a simulated person through the intermediaries of multiple media technologies. Illusions can seem real. And if they present as real, they can have real effects. George Michael provided a soundtrack that was always playing in the background during the formative years of millions of people. His songs rotated heavily when I was a little kid glued to Top of the Pops. This continued at university with his songs getting regular spots on cheesy (boozy) nights out in local clubs and down the union. In other words, George Michael's work is bound up with some of the very happiest times of my life. But also, strangely, so is his person. Throughout the last 30-odd years, his celebrity has been a constant, a background presence that has helped anchor me and masses of other people in an otherwise turbulent period of accelerated social change. That, ultimately, is one of the social consequences of the celebrity system, and why I feel his passing so keenly. George Michael was a big star with few peers in pop. But he was also culturally significant in a number of unstated ways. There were surprisingly few stars from the 1980s who actively collaborated with other big names, but he was one of them. Aretha Franklin, Elton John, Queen, Mary J Blige all teamed up with him and turned out superb pop moments. Today, collabs are so utterly frequent they barely merit mentioning. George Michael can arguably lay claim to inventing designer stubble. The manner of his forced outing by the LAPD in 1998 landmarked the strides taken towards gay acceptance as no one was really bothered, which in turn he sent up in Outside. In more recent years, he was fodder for the gossip sheets with his admissions of drug taking, self-deprecating confessions about a rustling in the bushes on Hampstead Heath, and the bizarre incidents of his crashing into a photography shop and subsequent falling out of his car on the motorway(!). Having reached such a level of fame, it's almost as if he took a delight in an eccentric subversion of it. But nor should we forget that George was a frequent target for the tabloid press. As with any celebrity megastar, they reveled in his low moments. Gloating when his contract with Sony was upheld in the courts, prurient as they tried to break the studied silence about his sexuality and personal life, and hay making when he was done for cottaging. George Michael was - is - loved, but for the press that helped make him their attachment was purely cynical, their heartfelt headlines entirely hypocritical. Despite their best efforts, he epitomised what it meant to be the 'good celebrity'. 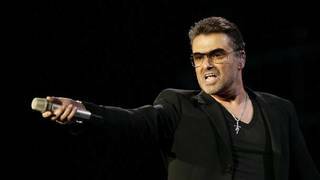 George Michael's working class background kept him grounded and socially conscious (Wham! played a Miners' benefit gig at the height of their success). Once forced out, he was utterly unapologetic about his sexuality and made a point of not caring what people thought about his cruising and drug taking. His intolerance was directed at the intolerant, an ethic everyone involved in progressive and socialist politics should seek to emulate. And he was a generous man, refusing to partake in celebrity charity fests and preferring to help people out quietly and anonymously. In all, he was a lovely bloke, and one of the reasons why he meant so much to so many. 53 these days is no age, and the world already feels the poorer for his passing. Goodbye George. We will miss you. Last year, Ravi launched his important Fair Celebrations campaign. 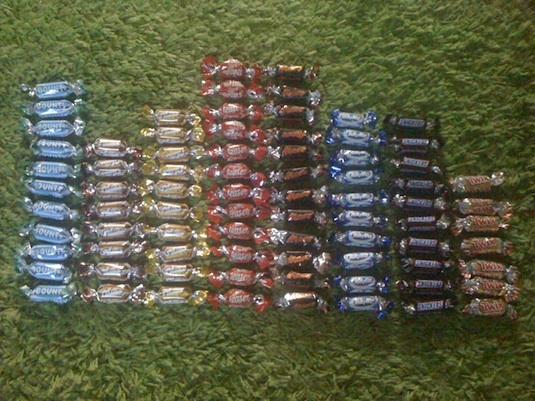 Yours truly chimed in last Christmas with an exposure of Cadbury's Heroes. This year, there's none of that sugared down Kraft Foods muck as Santa has brought us two tins of Celebrations. Never one to miss an opportunity to advance the frontiers of human knowledge, here's the break down of each of the two tins. 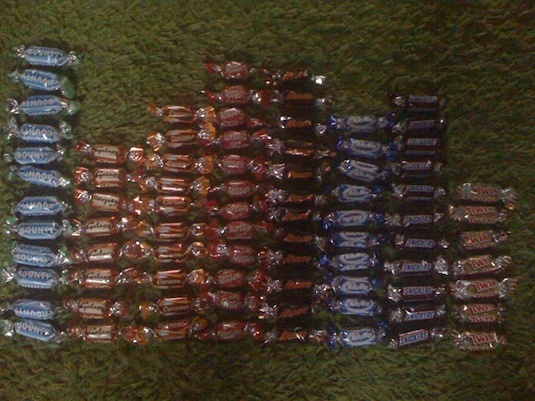 My, there isn't much variation between the two tins, but there is still plenty of inequality. We're not talking Britain-since-1979 levels of injustice here, but a noticeable shortchanging guaranteed to upset Twix fans. Peter Mannion MP would be upset. This year the campaign has stepped up its activity with mainstream regional coverage courtesy of the Birmingham Mail. Next year, Newsnight? Join the campaign by tweeting, Facebooking, Instagramming, tumblring your Celebrations reality and hashtagging them #FairCelebrations (plus #FairHeroes, #FairQualityStreet, etc.). And don't forget to @RaviSubbie too. If you like Star Wars, it's a must-see. If you like space action movies, you should watch it. If you're at a loose end and the kids are mithering, take 'em to the cinema - it'll knock their socks off. Don't go in expecting multi-layered narratives and nuanced characterisation, Rogue One is a disciplined journey from A to B. It's a tightly plotted, entertaining romp with no loose endings, and works fantastically well as the immediate prequel to Episode IV. Like many millions of people, I'm a fan of Star Wars. Not a superfan mind, I'm not into the expanded universe, the novels and comics or anything like that. After all, since Disney prised Star Wars out of George Lucas's decadent grasp, the new overlords of the universe have declared the films canon, and that's about it. Not that I'm bothered. When I first saw the opening of A New Hope (then plain old Star Wars), you didn't need much to tell you who the goodies and baddies were. The Empire are transparently evil, the rebels unambiguously righteous. There are no greys. I grasped this when I was little, and so did the young 'un sat next to me at the cinema who kept saying "yes!" every time an X-Wing offed a Tie Fighter. This simplicity is interesting because, ultimately, what makes the Empire 'evil'? What makes the Rebellion 'good'? With the Empire, it's easy. Darth Vader looks like a bad 'un, and within seconds of our introduction in the original film he's throttling a hapless rebel soldier. Palpatine's nefarious scheming sees his immersion in the Dark Side of the Force render him a rubber skinned monster. And in Rogue One, the Empire burnishes its evil creds with wanton acts of murderous destruction thanks to the newly operational Death Star. The main antagonist, Director Krennic is effectively a Nazi weapons scientist with Bond villain tendencies, up to and including the tendency to murder subordinates for little reason. Vader is the same, threatening Krennic with a sticky end if he fails him and the Emperor - a nod to the absurdity of The Empire Strikes Back where he kills off imperial officer after imperial officer for their failings. It strikes one that climbing the career hierarchy to earn the privilege of instant death working alongside the Lord of the Sith can't be a powerful motivator. And therein lies the problem with the Empire. What is it about? Krennic is portrayed as an ambitious bureaucrat, so much so that Vader chides him for it. But there are no values, no matter how twisted motivating his murderous career path beyond personal advancement. And this is the same with Vader and the Emperor. For all their mystical twaddle about the Force and the power of the Dark Side, what's the point? It's power for power's sake. That's fine for individual motivations, but you can't carry a society on it. The expanded universe suggests the Empire has a whiff of Nazi-style human supremacism about it, but apart from their military personnel being either human clones or droids of some description, there is little in the films to suggest xenophobia and racism toward aliens. Ditto for the Rebellion. We know from the prequels that they see themselves as heirs to the old republic brought down by Palpatine in Episode III, but apart from that, what are their values? Yes, they're against bad things. They don't like and are persecuted by the Empire's goons. Presumably they'd like to see democracy restored in the galaxy, but beyond that there is very little. They come over like many an earnest anti-capitalist activist. Very easy to identify what they stand against, difficult to pin down their alternative. The Force as practiced by dear old Obi-Wan and Luke Skywalker isn't much of a clue either. It emphasises the manipulation of the unseen forces that bind matter together, and Jedi training involves suppressing and rising above the passions through self-mastery. Selfishness, avarice, desire, jealousy, vengeance - all these are paths to the Dark Side. And, again, for what? To uphold galactic democracy and rescue kittens stuck in a trash compactor? Where the Rebellion does noticeably differ from the Empire is with the integration of alien races. This theme continues in Rogue One with the Mon Calamari (of Admiral Ackbar fame) spearheading the Rebel assault at the end of the film. And throughout the saga, aliens are integral to military operations (though, bizarrely, none get to pilot Rebel X-Wings, Y-Wings and what have you). And so what we're left with are incredibly simplistic notions of evil and good. The Empire is the grim outcome of indulging the self to the exclusion of all else, and the Rebellion springs from abstinence and the rejection of this-worldly things. Which is ironic considering the cinematic celebration of these values have created the most bankable movie franchise in existence, and fed the gaping maw of profit-hungry production companies, cinema chains, and toy merchandisers for decades. * There were 17 by-elections in Scotland. ** There were 22 by-elections in Wales. *** There were 19 Independent clashes in the year's by-elections. **** See the quarterly round-ups for details of other parties. Overall 552,015 votes were cast over 319 individual local authority (tier one and tier two) contests. Fractions are rounded to one decimal place for percentages, and the nearest whole number for averages. In all, 99 council seats changed hands. For comparison, you can see 2015's results here. Across the year, the Conservatives have been this year's big losers. A net loss of 29 seats (while finishing last year up 19) isn't great, but nothing that should have the Tory high command panicking. Meanwhile, as everyone talks up Labour's poor by-election performance it finishes the year with a lead in the popular vote and a net loss of just eight councillors. However, while not worrisome from the standpoint of maintaining the status quo - and with talk of Labour getting crushed between UKIP and the LibDems - it can hardly be said these aren't performances turned in by a party poised to win a general election. Still, there's time yet and the Corbyn leadership deserves a full year without shenanigans and internal warfare. Provided that truce holds we'll have a better idea of the true state of play 12 months hence. The LibDems continue surging which, in truth, started before the referendum result. However, as noted yesterday, this is on the basis of a relatively thin sliver of voters returning to the party. This is reconfirmed in the year end figures. Their proportion is significantly up while average votes cast per contest remains flat. You could say we're returning to their historical level that was temporarily depressed by their coalition with the Conservatives. As for UKIP, their big slide took place last year. Though not performing as per their golden period, this year's tally indicates a certain stability in their support, as measured by the fractional uptick in support and few net losses. Whether that will continue to be the case remains to be seen. I'm not expecting UKIP to swoop in and hammer Labour in its core areas. Despite the hype, there is no indication of this brewing, and it appears leavers just aren't as motivated by their referendum vote as remainers are. In addition, 2017 sees county council elections. Here, the party did very well in 2013 off the back of the Tory rebellion against equal marriage. Those conditions no longer apply, and provided the government isn't seen to be gratuitously mucking up Brexit negotiations you can expect a lot of those gains to fall, which will knock-on into by-elections too. Of the other parties? The SNP are still piling up the votes but it feels like their ascendency has peaked. Nothing much going on with by-elections from Plaid Cymru. Three gains is alright, and let's face it, Labour would be much happier had we netted as many. Sundry Independents have done better, which is annoying. And TUSC, well, they stood only in two quarters and improved their result on last year. That said, as they're "resting" in deference to a deal they desperately want to strike with Labour (and are never going to get), I don't see any point including them in the tallies any more - so into 'Others' they go from now on. Unite Election: Who is Ian Allinson?